“From the beginning of the season, it has been very emotional,” Nadal said after his victory on Sunday. Rafael Nadal is undoubtedly the best clay-court player in the history of tennis. However, it is Nadal’s success on other surfaces that solidifies the Spanish player as one of the all-time greats. With victory in New York, his third title at Flushing, Nadal claims his sixteenth major and caps a summer that has found him atop the tour rankings for the first time in just over three years. 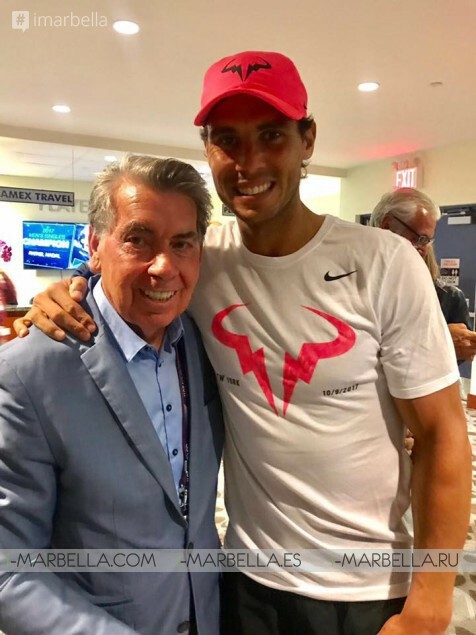 Manolo Santana, the legendary Spanish player of the tennis, and his wife Claudia Rodriguez were among the people who supported and congratulated Rafa Nadal during and after the final match. Manolo was also a champion of the U.S. Open back in his days of glory. With this title, Rafa Nadal is trying to catch up with Roger Federer, the Swiss player, who has won 19 Grand Slams. The competition will only get better in the tournaments to come because Djokovic, the Serbian player, also wants to increase his 12 Grand Slams. For now, we congratulate Rafa Nadal for this extraordinary accomplishment and we wish him more championships in the future.